This week we visit the shelf known as ST3 in the Prints department, the location of our large format prints and posters. The shelf is full to the brim of lithographic, largely linen backed content from which we bring to you the delightful posters, seen below, designed by the artist Raymond Peynet. The illustration series that made Peynet's fame were known simply as Les Amoureux or The Lovers. The characters were born out of a chance encounter Peynet had in the park, observing a violinist unknowingly serenading a beautiful lady spectator. 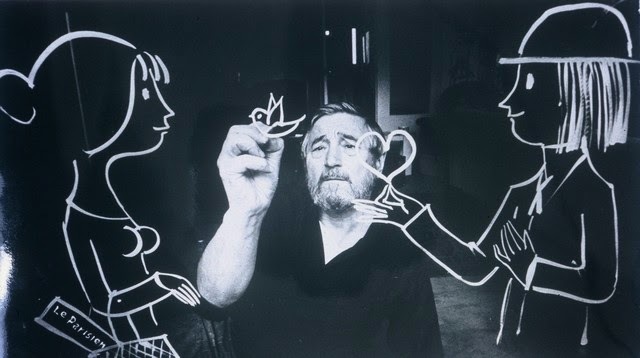 His recognisable style and undeniable talent led to a stream of commissions, in the most unusual parts of the commercial advertising sector. Established in 1950, the Fondation Louis Lépine (FLL), is a charitable organisation that aims to support the working lives of policemen in France. It still is an operational organisation or union, and as part of its remit aids the social engagement of the police force in Paris. 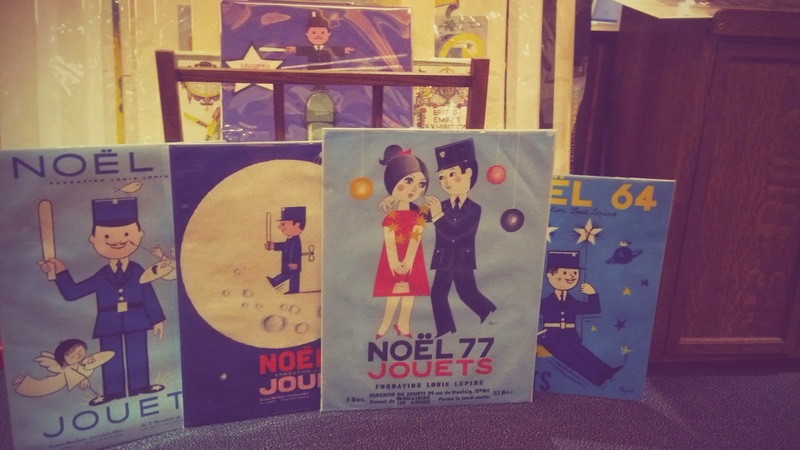 Peynet was commissioned to create posters for the annual toy sale at the Préfecture de Police Paris. It is quite odd, perhaps, to see such a jovial agent of social control, baton in hand, advertising a community outreach event, in the form of a Christmas toy sale, in a police station. However, the quaint and romantic imagery of Peynet's creation captures the imagination, and we can overcome the unusual nature of this event and its incongruous location. 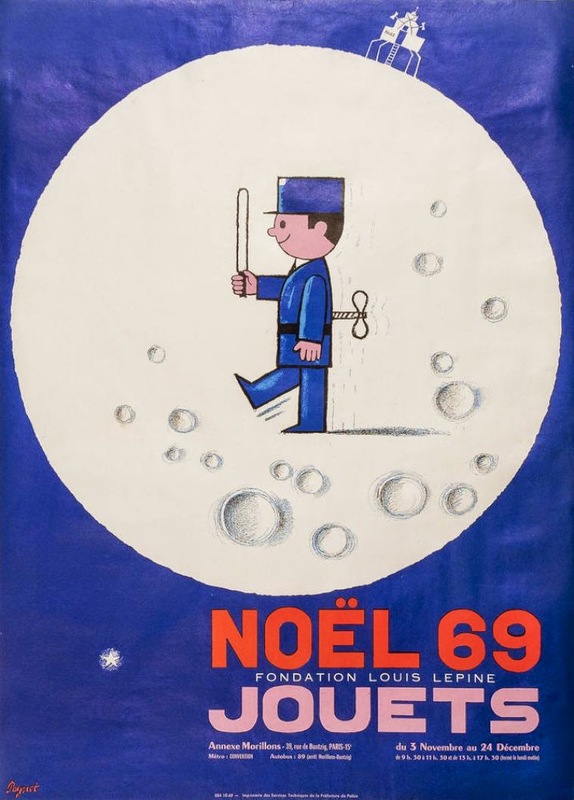 The little mechanical police officer walking on the moon, a tribute to the USA Luna landing of the previous year, could be an attempt to break down the barrier between police and the people; a strident attempt to connect police and popular culture achieved by the innocence and simplicity of Peynet's rendering of the uniformed character. Evidence of the accolade of Peynet and his posters is the small latex model, commissioned by President Coty, of the police officer featured in the posters. It was presented to HM The Queen on her royal visit to France in 1957 and is now held in the Royal Collections. 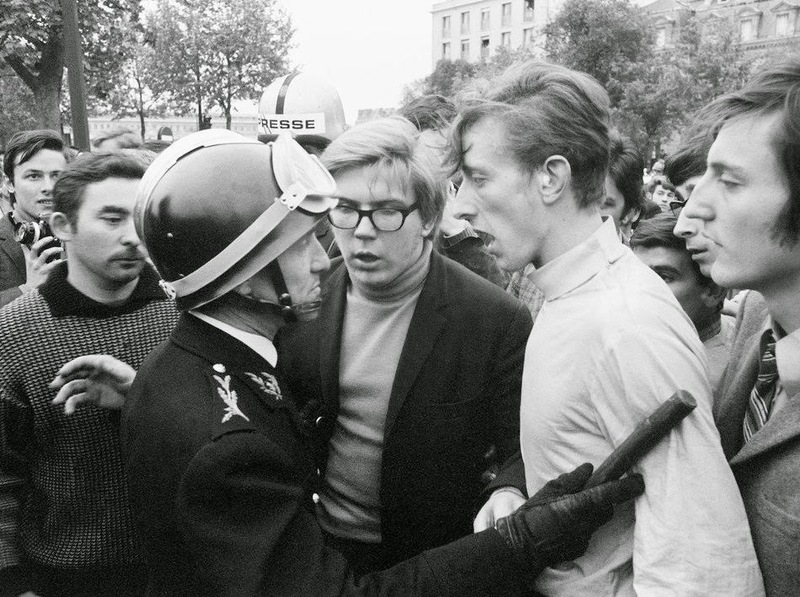 Despite the political events in Paris of the late 1960's, with student protests on the streets of Paris and political demonstrations frequently resulting in violent clashes with the police, these posters continued to be produced. It might be concluded that these posters are an attempt to establish the friendly face of the force in the context of such fierce opposition. They are a graphically stylish manifestation of an important aspect of social history and the role of the workers' union in France. 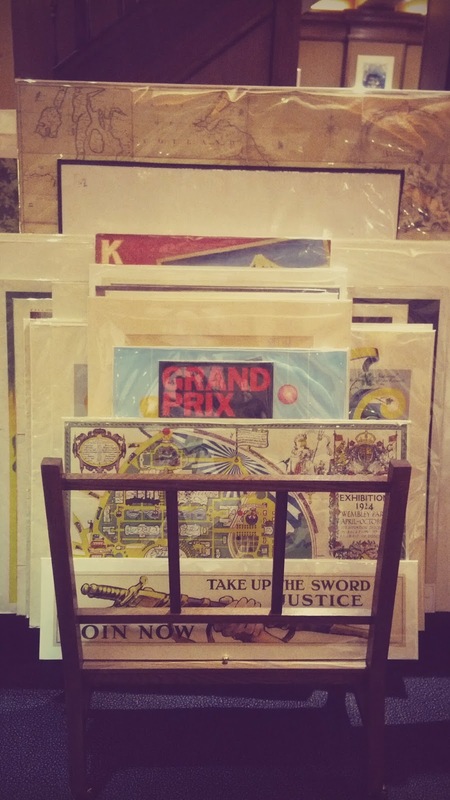 You can view the catalogue here for the full list of Peynet posters currently in stock, or for more information call us in the Prints department 020 7434 2019 and ask to speak to Roisin or Richard.